Edinburg mayoral candidate Gina Alamia, center, speaks during a forum with UTRGV students and other attendees Wednesday at the Student Union in Edinburg. At left is Council Member Richard Molina, and Mayor Richard Garcia is at right. 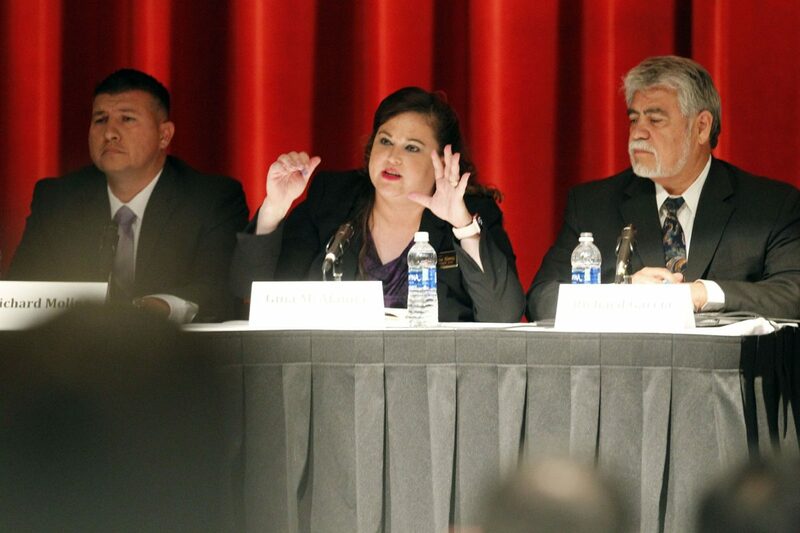 EDINBURG — Mayoral candidates here had ample time to discuss their individual platforms with members of the public and students at University of Texas Rio Grande Valley during a two-hour forum Wednesday night. Mayor Richard H. Garcia, Council Member Richard Molina and Gina Alamia, all vying to be Edinburg’s next mayor, took turns answering a slew of questions ranging from the standard topics of drainage and infrastructure, to other hot-button issues, such as immigrant rights, law enforcement safety, recycling, transparency and health care. The forum, hosted by the Progressive Democrats and the College Republicans, allowed the candidates two minutes to answer questions submitted by student groups, including the Environmental Awareness Club, Black Student Union, the Muslim Student Association and others. “Candidates should focus on their own policies and not on their opponents,” one of the moderators said at the start of the event. 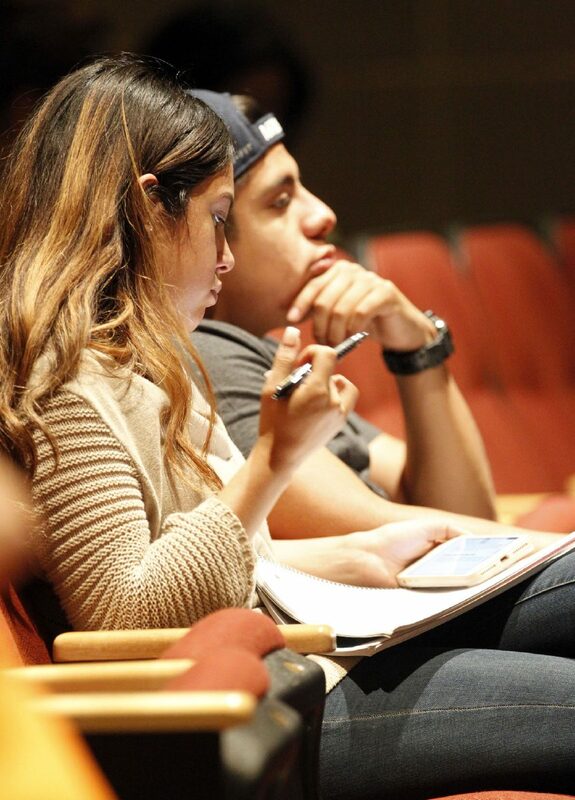 UTRGV students listen to candidates in the Edinburg mayoral race during a forum Oct. 18, 2017, at the UTRGV Student Union in Edinburg. 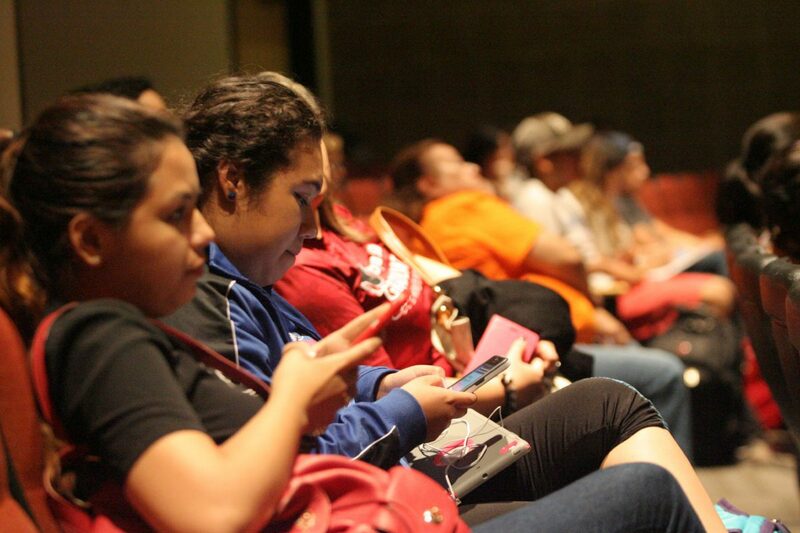 UTRGV Students attend the Edinburg mayoral candidates forum at UTRGV Student Union area Wednesday Oct. 18, 2017 in Edinburg. And for the most part, the candidates took that to heart, with few outbursts from the public as well. Each had his or her own group of supporters in the audience as evidenced by the applause that followed Alamia’s rejection of a proposed healthcare district, and cheers from both the Molina and Garcia teams, who responded when each addressed a $13 million loan given to Santana Textiles — though their views on the denim manufacturing plant continued to vary drastically. Students were especially interested in public transportation, parking around the university and sustainability efforts. Alamia noted that there are between 8 to 10 students for each parking space at the university — a high figure when compared to her alma mater, Texas A&M University. In Aggieland, there are five students per space, she said. Students also asked if they would be willing to cut the tax rate. Alamia believes a reduction is possible, but cautioned it would not happen overnight. Meanwhile, Molina declined to commit to a tax cut. “Currently, where we’re at, I don’t know that it’s the best thing to do,” he said, adding that committing to a cut could be good for votes. The candidates continued to spar over the financial state of the city, with two of them indicating the city could do better and the mayor touting a recent accolade for financial reporting and auditing.